i replied to this days ago...i guess it didn't go through. yessssss naynay. yessssss. i took off work to do my hair. @ havi,smh well i cant say too much cause that sounds like something i would do.a mess but heck our hair deserves it. ladies i will be doing my hair all week next week in preperation for my trip so i will post a flatironed pic of my hair on thurs the 27th. i might start posting pics from sun my takedown then im gonna henna for the first time on mon. how was everyone's holiday? i did nothing fun or interesting with my hair. i just wore it in a messy bun. i am going to deep condition and aphogee two step today...tomorrow i will flat iron and trim. i cut about an inch yesterday but i may need more. we will see. @Havi.... my holiday was really nice. Got to see family friends that I haven't seen in years. How was yours? Hair wise.... I've been giving twist outs a try and I have to say I think I have mastered my technique. Finally! Its funny because I gave the Curl Enhancing Smoothie a try again after I watched Mahoganycurls video. Turns out I was just using waay to much of the product. It isn't really good for slip, but for twists it works perfect. I also used the Shea moisture Curling Souffle on top of it. A little really does go a long way. Next time I'll be sure to take pics. I'm excited for something other than a wash n go. @Havi... I forgot to add I hope to see pics of your flat iron! I'm swearing off heat for at least another 6 months but I'm already thinking of what I'll do differently this time so I can get it a little sleeker. 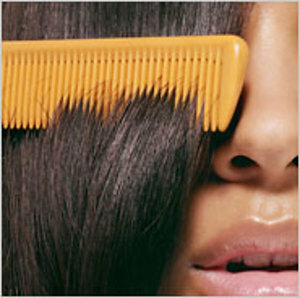 What do you use to flat iron? end of le year and i have been doing well in my box braids. i just rebraided the top this past weekend. will get around to doing the rest of the back and sides eventually. eta: my goal is still caiomhe hair! lol it's the perfect length. my hair is close, but i'm so sick of layers.